e have run this tour every second year since 1996. Each time it has sold out rapidly. The combination of a personalised escorted tour with emphasis on meeting crafts-people and experiencing the delights of 'Princely India' is quite unique. This current page gives the flavour of our Indian experience. Our tours for each year sell out quickly. Our tour for 2011 is sold out and the next tour which is available will not be until 2012. We have recently returned from India and have made changes to improve the tour by including extra palace hotels and other delights! And, as of this date (30jan 2011) there are spaces available for the WW12 tour. If you are interested, please email your request. n 1996 I took a group for a marvellous Indian experience. Our focus was fabrics, centuries old craft that continues to flourish. We stayed in some amazing palace hotels and explored many other craft activities. Every two years we have revisited the same region building on our experience of previous years. The focus continued to be the extraordinary fabrics of India, particularly those produced in the craft villages of Rajasthan and Gujarat. 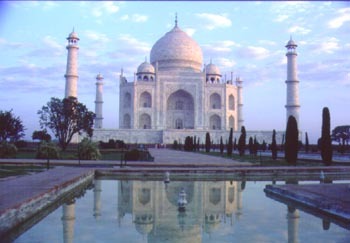 The tour includes most of India's major monuments and makes a feature of staying in many remarkable palace hotels. This is an opportunity for those stirred by colour and pattern to go to the village source, to browse the handicrafts of dusty bazaars; live in the palaces of the Rajah's; and shop for an embroidered purse at the Pushkar camel fair! This tour is designed to experience the magic of Northern India; not only the fabrics and crafts, but the architecture and exotic people. We shall take the opportunity to visit villages, workshops and museums relevant to our quest for exciting surface design and indigenous craft. This tour is a tour for the discriminating traveller who would like to experience the greatness of India’s living crafts and it’s splendid history often embodied in its architecture. 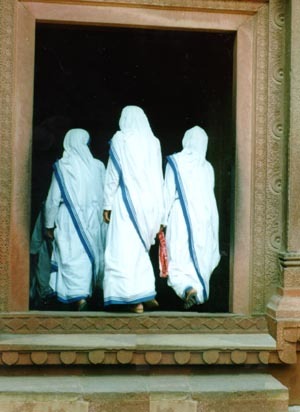 ndia's princely history has always fascinated me. The romance of castles, elephant processions and bejeweled harems seems redolent of an era which is past; yet the ‘fabric’ remains and is still available for the discerning tourist. Following independence from Britain in 1948 the princely states fell on hard times especially after the unjust withdrawal of the princely purses in 1970 by the Congress government. 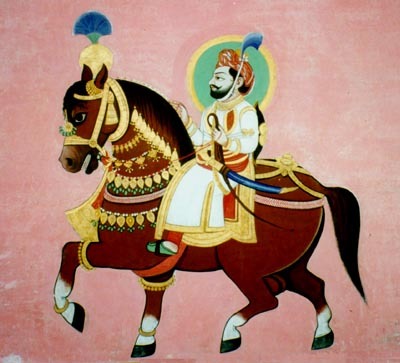 Many rulers sought to diversify by turning their family homes into palace hotels. 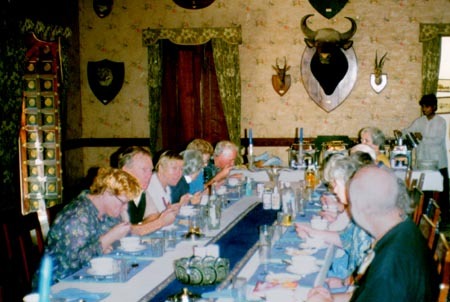 Fortunately, many have not been totally refurbished so that you can literally dine at the Rajah's table. We make a feature of staying in these wonderful places where possible. In these lovely places are furnishings and photographs of bygone times and immaculate service. Amongst these are some of India's best hotels and are a remarkable experience in themselves. Since they were designed as homes every room is different, consequently you do not get the uniformity of conventional hotels. On this tour we shall live in twentyone different palaces and visit several others for lunch or dinner. Laxmi Vilas, near the Bhratpur Bird Sanctuary, is our first palace experience. Neemrana Palace perches on a ridge. Its cobbled approach is too steep for our bus, so our luggage is carried by camel-cart, while we walk to one of the most gloriously restored palace hotels in all India. Samode Palace is set under red cliffs at the end of a narrow lane. Built by the finance minister of Jai Singh II founder of Jaipur, its opulence is tempered by intimacy of scale and mirrors the wealth and good taste of the original owner. 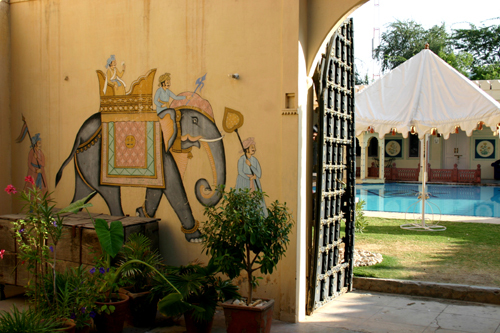 In town, at Jaipur we stay at the family's town-house, Samode Haveli. Phool Mahal is the recently restored marble-home of Kishangar former ruling family. 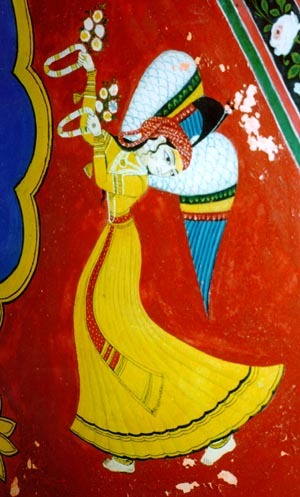 We have met the Maharani, and have an invitation to view their superb collection of miniature paintings. 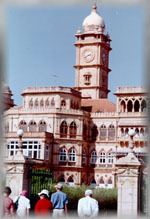 Ajit Bhawan Palace in Jodhpur was the first of India's Heritage hotels. Built for the brother of the Maharajah its rooms open directly into a charming garden. Grouped around charming courtyards is the 17th century country estate of a local noble. 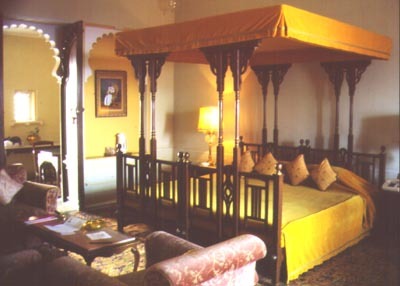 Another 17th century property, Rohet Garh is one of our most pleasant stays. In Udaipur our accommodation Fateh Prakash palace overlooks the famous lake and its white marble palace. Udai Bilas Palace is a much older lakeside establishment. 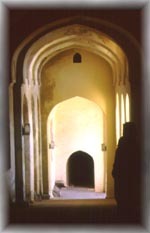 Former home of the Maharajah of Dungapur its rambling galleries retain well preserved paintings, tiles and mirror-work of the 13th century. Well off the tourist circuit, this gem was a discovery of our research team when we first formulated this tour. 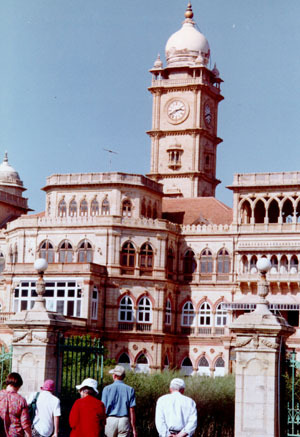 Balaram Palace at Palanpur is justly described as 'one of the best palace hotels is Gujarat'. Set in a remote country environment it is a charming stopover. 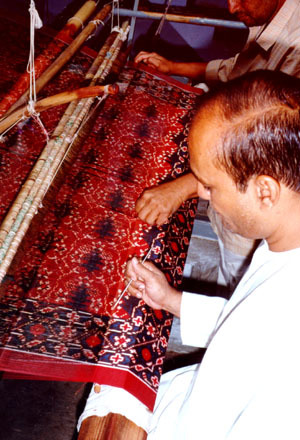 Palanpur is near to the Patan, home to the intricate double-ikat weaving technique maintained by a couple of families. That's why we are going. At the state capital of Ahmedabad is the newly opened House of Mangaldas Ghiradas - a stylishly restored family home. Palace Utelia stands over a tiny village in the tidal-lands of Gujarat. In the village, a truly-extraordinary international business has flourished for many years. The palace, more family home, than imperial estate, is a charming 19th century establishment; Riverside Palace at Gondal is another gracious family home-turned-hotel. The 'Royals' live down the road at Orchard Palace where we shall take lunch one day and visit the Maharajah's superb collection of vintage cars. In Wankaner "to stay at Ranjit Vilas Palace as a personal guest to the princely proprietor is to enter into another realm, an evanescent world barely removed from the aristocratic gentility of the Raj - fading, fading away..." Named after Ranjit Singh, the champion batsman for England at the turn of the century, the hotel is presided over by the present Maharana and his son with style that can only be Indian. Since the severe earthquake of January 2001, we shall be accommodated down the hill at their Art-Deco, Oasis Palace. In the deserts of the Rann of Kutch, adjacent to the Pakistan border, is a new heritage hotel. The Shaam-e-Sarhad Resort our home for a night. We choose the conventional hotels for their location and quality. The Imperial in Delhi has large rooms and lovely gardens, spaciousness redolent of an era now past. It is justly regarded as one of the best hotels in the world. In Agra TheITC Mughal in Agra -(formerly the Sheraton)- is sumptuously modern and deserving of its architectural awards. In Jaipur, Samode Haveli is former home to a noble family. Although not strictly a palace, this is a charming small hotel in palace style, with superbly painted public rooms and all the charms of a family environment. A real treat, are puppet shows held in one of the internal courtyards. In Bhuj we are well off the conventional tourist trail. There is no palace hotel available in this town. The hotel we use, The Prince is clean, comfortable and the best available. In Mumbai we stay at the conveniently located Ambassador. While in Bangkok we have two nights at The Ramada-Menam. s lavish patrons of the arts the rulers of Rajasthan and Gujarat’s princely states reinforced a strong craft tradition which persists today. This patronage, the presence of minerals and gems, the cultivation of cotton and silk, together with the isolation of the region and the inherent artistry of the people have made Rajasthan and Gujarat, a craft fanciers Mecca. Centuries of imperial pomp and princely splendour encouraged the arts. Indian potentates embellished their palaces and their person with sumptuous fabrics, jewellery, pottery and metalware. Skilled craftspeople were, and still are, highly valued so that any visit to India is enriched by exploring the crafts available. Down narrow lanes in every village craftsmen and women still practice ancient arts handed down from generation to generation. We have established friendships with many that we delight to share with the group. We have researched and the best local guides, most appropriate villages and which museums and craft schools to visit. The focus is on the regions textiles but we shall not neglect other crafts and sights. Shops that supplied Shah Jahan, builder of the Taj, still craft semi-precious stones into marvellous combinations with silver and gold. Everyday items in metal from waterpots to door hinges suggest high standards that are more delicately demonstrated with the beautiful meenakari enameling, damascene and chasing of more valuable items. I take a personal delight in the region's crafts and on this trip will explore further the villages and craftspeople who make this magic possible. 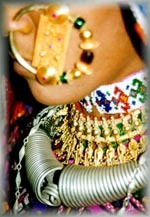 If your heart desires an ethnic nose ring I shall do my best to aid your purchase! 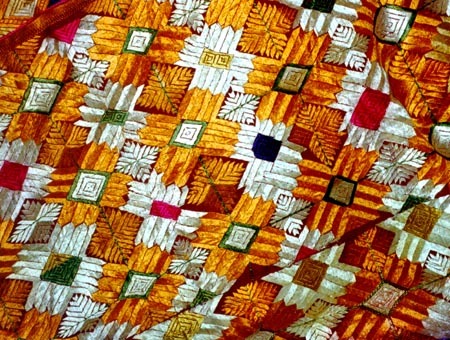 TEXTILES: Since the third milleneum BC the peoples of India have been producing brightly coloured fade-resistant fabrics. Indian cloth became much coveted by the early Persians, Greeks and other Europeans because of its brilliant colours. 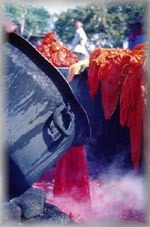 It was not until the 17th century that the knowledge of how to produce such colours was understood in the west. Hence, a flourishing trade developed that for centuries ran in favour of India. It was this transfer of funds that contributed to the fabulous wealth of Indian merchants and rulers in the south and west. Despite enormous distances and difficulties of communication a system developed that allowed village crafts-people to produce specific wares to satisfy the tastes of foreign clients thousands of miles away. It was this flexibility associated, almost pradoxically, with strong craft and caste traditions that enabled them to survive the near death-blow development of aniline dyes and mechanised looms in the west. For good reason the region we visit is known as the 'colour belt' of India. These men come from warrior tribes so their many-hued vivid turbans give a surprisingly jaunty appearance. 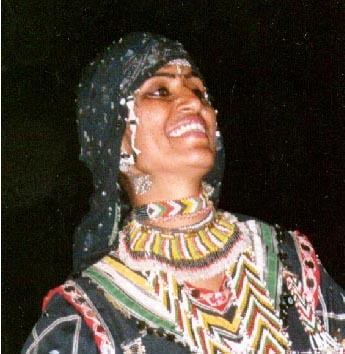 Their women wear swirling skirts of red tie-dye cloth and marvelously chunky bangles of embossed silver. 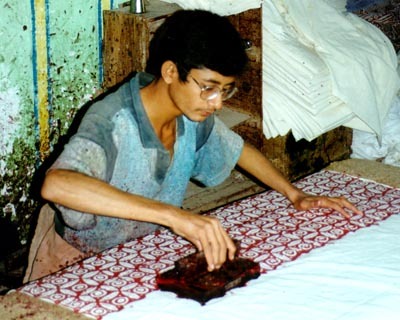 Slashes of colour come from drying fabrics draped on village walls; tie-dye or block printing is carried out in many villages with others noted for intricate weaving of cotton durries. Today crafts still flourish; most splendid, most affordable an most practical are the fabrics; silks, brocades, tie-dyed cottons and muslins delight the eye. There are regional styles and specific fabric skills throughout both states with each colour and motif having its own symbolism. 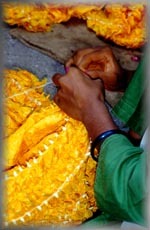 Weaving of all kinds is practised as a cottage industry with traditional vegetable dyes still finding favour. At Sanganer, outside Jaipur a whole village is largely devoted to producing block-printed cotton; in Agra there are numerous workshops producing cotton dhurries and others the most exquisite brocades; throughout the region varying styles of tie-dye make distinctive splashes of colour; and in Kutch village women embroider intricate designs to centuries-old traditions. To the south of Rajasthan is Gujarat state, noted since antiquity for its textiles. From here come muslins and cottons so fine they are described as ‘air-woven’; old craft traditions are retained, with active village production of tie-dye, beadwear and scintillating brocades. When these fabrics first arrived in Europe they were though to be magically created. They are no less miraculous today! 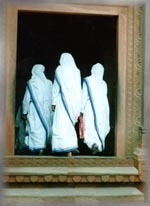 ...cloths that redeem the past life, decoration of the person and ornamentation of the body.....that are like a pleasant gift of a springtide and sit as lightly on the body as moonlight on the tulip or dew drops on the morning rose. At Patan we shall see a rare and difficult craft. Patola saris are created using a double-ikat-style weaving; it is especially difficult, rare and quite quite fabulous! There are only two families still doing this intricate work. It takes months and sometimes more than a year, to produce one sari. Their coveted output is worn by modern-day moghuls in the salons of Delhi and the restaurants of Bombay. Throughout Gujarat, but especially around Bhuj we shall be visiting villages that have their own specialist output of tie-dye, beadwork, block printing and embroidery of leather and cloth. Fabrics from throughout the country are available in Delhi and here skilled tailors can fashion your cloth into stylish garments or furnishings. Ready-made shops such as Fab-India and Anokhi serve an international demand with lovely clothes and furnishings. 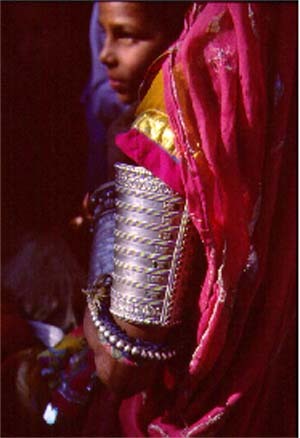 JEWELLERY: Tribal women of Gujarat and Rajasthan love silver jewellery. Their chunky bracelets, necklets and anklets are readily available in markets. The camel fair in Pushkar is a great gathering spot for nomadic and village peoples so we can expect to see there all the regional styles and latest fashions! 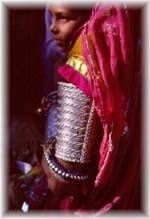 Rajasthan especially is rich in precious and semi-precious stones. With endless royal demand, jewellery and gem-setting skills developed particularly in Jaipur. Emerald, garnet, amethyst, topaz and lapis lazuli are still found locally but the famed diamond mines of Golconda are now exhausted. The royal taste in precious gems was to accentuate the size of the stone and elaboration of the setting so if your taste runs to the Koh I Nor (mountain of light) or something more modest the jewellers of Jaipur will be happy to help you. METALWORK: Warlike times required skills in metallurgy to fashion swords and cannon, as well as the paraphernalia for horse, camel and elephant corps. Many items were elaborately decorated with inlay and damascene and this love of embellished metal lives on in todays enamel-ware, brass and copper. STONEWARE: Probably few tourists take home a marble screen room divider, but all can admire the lace-like screens of the Taj and the lovely red sandstone carving of old Ahmedabad. Pietra dura trinket boxs are a reminder that the skills which decorated the Taj are still alive. WOOD: The desert environment and absence of water transport helped make Rajasthan and Gujarat the home of stone rather than wood architecture. However, the rich embellished their homes with elaborately carved wooden doors and windows; doors often made more notable with brass and copper plating, or ivory and silver inlay. These skills are used with effect on small boxes and bowls more transportable for the visitor. POTTERY: The great traditions of Persia and China contributed to the development of Indias pottery and ornamental tiles. Jaipur Blue is well demonstrated by the fountain in the Polo Bar of Ram Bagh Palace. This style used in lovely vases and bowls is enjoying a revival due to visitor interest in its fresh appeal. CAMEL CART MANUFACTURE, will probably have an enthusiast within our group. On the ground courses can be arranged!........and there is painting and leather work and lots, lots more! Getting yourself a TATTOO is an attractive possibility in many more remote village areas, where both women and men have elaborate personal decorations. Paticular designs encourage love at first sight, faithfullness in your spouse or reduce your risk of being re-incarnated as a camel; take your pick, with that selection how could you return home unadorned? he camel connoisseurs in the group will be able to whet their skills during the two days we have at the annual Puskar fair. Here the desert tribespeople converge for a week of business, marriage making and festivity at one of India's most colourful events. 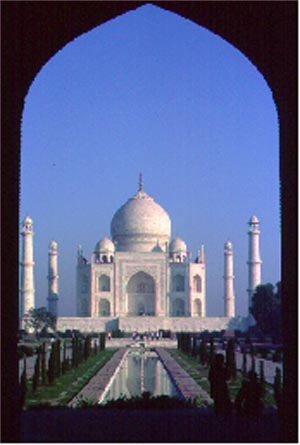 I went here for the first time in 1994 and was captivated by the experience. 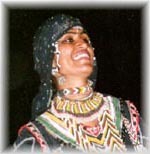 Gulabu, pictured here is not only best dancer I have ever seen, she has a quite astonishing personal history! 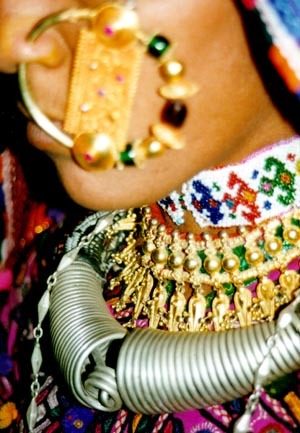 Especially enchanting is the variegated colour of dress and jewellery of the different tribes. The camels a good fun too! And if you really do want to decorate your favourite camel this is the world’s best place to buy an embroidered breast plate or beaded nose pull! At Pushkar, we stay in the Luxury Tented Camp run by the Rajasthan Tourist Development Corporation. We shall be comfortably housed in the quite inappropriately named Swiss Cottage section. Here, the Rajasthan authorities have successfully mimicked the travelling encampments of Mughal armies to provide this taste of luxury in the sands. but I can tell you what I feel. I would die tomorrow to have such another over me. A teardrop on the cheek of time. I have visited Northern India on numerous occasions. Every place on this tour is somewhere I have made familiar and all of them are places I enjoy to visit. If you would like to join me for a sumptuous Indian experience please register your interest. How many on the tour? NZ$16,024 (around US$10,300). For 2012 the final price will not be available until earlier that year. Please note: These prices are for 2009. 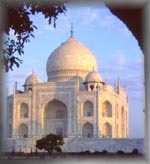 Final prices for this trip will not be posted until early 2012. However, I reserve the right to make changes should major movements occur in currency or airfares after that time. N.B. Because of significant recent changes in the value of the US dollar we shall ask 'Land Only' clients to pay for this tour in New Zealand dollars. N.B. If you choose the land-only option please organise your air travel early. Flights to and from Asia are very heavily booked. I am happy to help with suggestions and flight bookings if you wish. The final price for this tour in 2009 was NZ$18,965 ex Auckland. The price is very dependent on the relative value of the NZ and US dollars. different prices may apply for other New Zealand cities. Please note: These prices are interim. Final prices will be posted early 2012 but I reserve the right to make changes should major movements occur in currency or airfares subsequent to that time. A personal introduction to some new places and interesting people with me! · Return economy airfare from Christchurch, Wellington or Auckland to India· Twin-share accommodation in all cities · Breakfasts everyday · most lunches and dinners · A celebratory group dinner in ...I'm not sure, but somewhere nice!· Airport transfers and departure taxes throughout · all admission and camera fees to museums and mounuments. <!- -worth it?- - > Is it worth it? 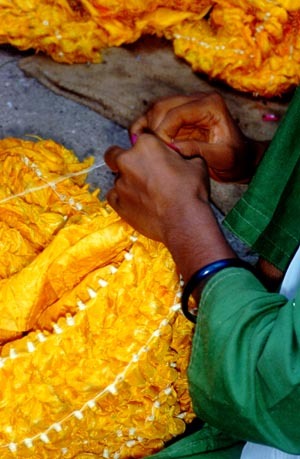 his is a personalised tour emphasising the textiles and crafts of India. It has been researched over many years to provide a very special experience. Staying for the most part in palace hotels and using our own transport, it enables you to savour the glories of India's past and present. It is deliberately not rushed. <!-how many?> How many people? he minimum client numbers for this tour is ten, the maximum eighteen. More than any place I know India demands attention. Coming with the privileges of affluence and education, and from a sheltered land I rarely confront the polarities of life. In India, such confrontation is daily, almost minute by minute. Here, in India, is great wealth amidst appalling poverty; here, women of grace and beauty walk through pig-swill in garments of such vivid hue that I gasp with delight; here, vultures feast while in the same frame trees, camels and people affirm life. And that is it for me. India affirms life. Affirms it with an intensity that confronts my every sense. Here life and death is immediate, revealed....demanding heed. 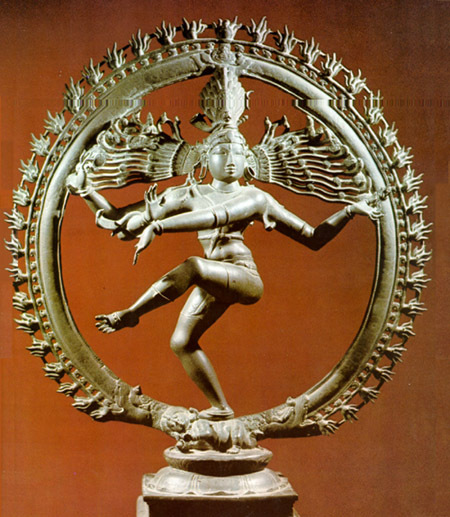 My favourite Indian statue is that of Lord Shiva....Shiva Natraj...Shiva Lord of the Dance. He stands on one foot, arms outstretched, surrounded by a halo of fire. The fire is the fire of life. 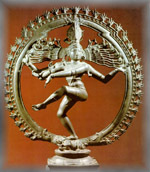 Shiva invites me, and all of us, to the dance of life. How vigorously I dance is up to me, it is a matter of choice. For me, India increases the tempo of lifes dance. India presents to me a vivid focus on the human condition; a triumph in fact, of such cultural and spiritual achievement that Lord Shivas flames singe me to awake. Thats my India. This tour is crafted to offer experiences which are very special. .....if this one day in the lifetime of a hundred years is lost, will you ever get your hands on it again? <!- other info?- - > What other information do you send? fter registration I shall send pre-trek information including; a daily tour itinerary; detailed information about what you need to prepare and bring for this tour; a suggested reading list; information relating to health issues and vaccinations. 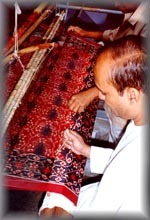 The Warp and Weft tours of India have been every two years since 1996. They were very successful. We shall run a similar tour in 2009. Please register your interest now and we shall keep you informed. 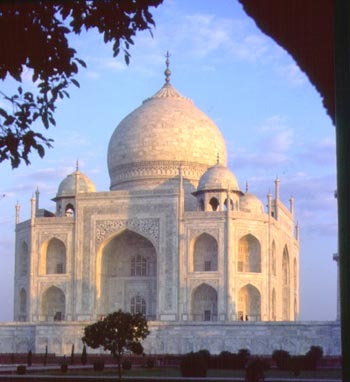 If the timing of this trip does not suit, and you would like us to arrange a tour to India for your own independent group check out what we offer. A deposit of NZ$300 or US$150 per person [personal cheques ok] and a completed booking form should be sent to me. Confirmation of your booking will be sent immediately. Balance becomes due 60 days before departure of your tour. If cancellation takes place more than 60 days before departure 50% of your deposit will be returned. If cancellation takes place less than 60 days prior to departure refunds will be made on the assessment of costs incurred. In the unlikely event of me being unable to lead the trip (if advertised), or a major amendment being necessary I shall make alternative arrangements and consult with group members. If these changes are unacceptable to group members they may withdraw with full refund. Trips are planned to avoid flight problems in Nepal and India. However, I shall not be responsible for any postponement or delay caused by bad weather, political instability or airline rescheduling. I shall make every effort to minimise the inconvenience but will not be responsible for the extra expenses incurred. A visa for Thailand, Hong Kong or Singapore is not necessary for holders of New Zealand, Australian, United Kingdom or United States passports. 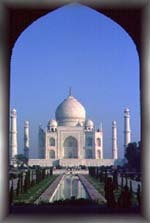 All travellers to India need visas. I shall send the appropriate application forms. Because of Indian regulations UK citizens have to pay a surcharge. Everyone must send me 6 passport photos with their deposit. These are needed for permits. All tours require a good level of fitness. Although this is not a walking trek some Indian monuments are extensive with numerous steps and walks. I encourage everyone to make an effort to be as fit as possible before starting the tour. Personal travel insurance is not included in the tour cost. You are strongly advised not to travel in Asia without taking out a policy. I recommend the House of Travel (American International Group) policy. 'Plan B' is recommended for these parts of Asia. I have specifically checked, and this policy covers the cost of emergency helicopter evacuation. I will enclose a brochure on this policy after booking. Copyright © No part of this document may be used or reproduced without the express permission of Footprints Tours Ltd.
per person. Please complete a separate form for each person. Please send six passport photos for various permits. I will send information about getting an Indian visa. I shall send you confirmation, a receipt and comprehensive notes regarding preparation for the trip, passport requirements, visas, clothing etc. NZ Travel: Please consider travelling to Auckland the day before the Main Group departs. Bad weather can cause flight cancellations. If you miss the group you will have to catch up as best you can. On return I shall book the appropriate flight to get you home as soon as possible.